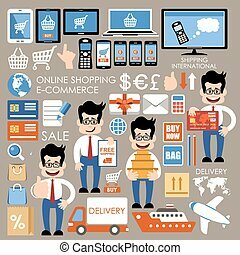 E-commerce shopping with hand touching screen and icons vector illustration. 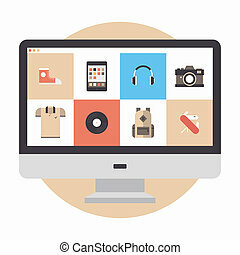 Set of flat design style concept icons for graphic and web design. 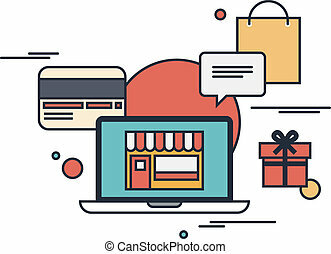 Icons for e-commerce, m-commerce, online shopping. 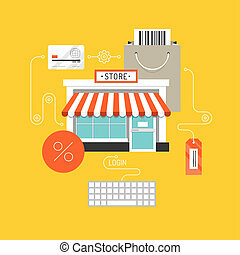 Online shopping and e-commerce concept, web store market with purchasing product process via internet. 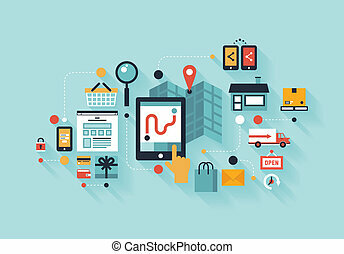 Flat design style modern vector illustration. Isolated on stylish background. 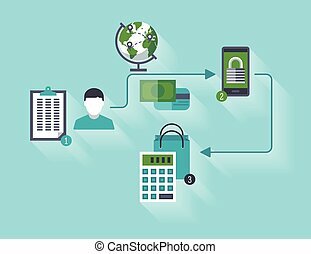 Flat design modern vector outline illustration concept of purchasing product via internet, online shopping communication and purchase with credit card. Isolated on white background. 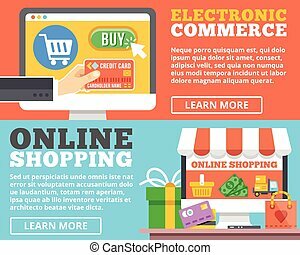 Flat design modern vector illustration concept of designer portfolio website with various icons or online shopping web store for purchasing product via internet. Isolated on white background. 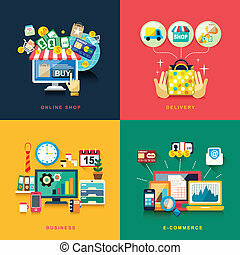 Flat design modern vector illustration infographic concept of purchasing product via internet, mobile shopping communication and delivery service. Isolated on colored stylish background. 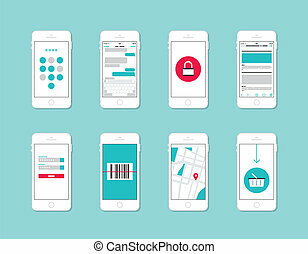 Flat design vector illustration concept set of modern mobile phone with application user interface elements, forms, icons, buttons on security and login information, internet shopping, web communication and e-commerce service. 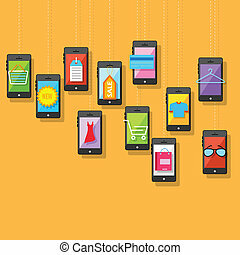 Isolated on stylish color background.